Thinking back, as Leigh’s first M.Sc. student for the GEMM Lab, I wonder what poignant insight could have prepared me for my future endeavors. And having faced years of perseverance and dedication in the face of professional unknowns, perhaps the answer is none at all; fore maybe it was the many unknown challenges met that led me to where I am today. I graduated in December of 2015, with my Masters in Marine Resource Management, and stamped completion of my research with the GEMM Lab. While my research focused on marine mammals, my broader love for the Earth’s oceans and lands guided my determination to help keep our planet’s precious ecosystem resources wild and free. So when I landed a position in terrestrial ecology after graduating, I chose to embrace the challenging decision of jumping away from theoretical research and moving back towards applied research. Consequently, I fell in love with botany, moth identification, birding, and explored the unknowns of a whole new world of conservation biology in Scotland with the Royal Society for the Protection of Birds. Not only was this work incredibly fun, interesting, and spontaneous, it offered me an opportunity to take my knowledge of developing research projects and apply it to nature reserve management. Every survey I completed and dataset I analyzed provided information required to determine the next land management steps for maximizing the conservation of rare and diverse species. From the GEMM Lab, I brought skills on: how to work through what, at times, seemed like an impassible barrier, complete tasks efficiently under a tight deadline, juggle multiple activities and obligations, and still make time to ponder the importance of seeing the bigger picture, while having fun learning new things. Above: Botanizing and birding in Scotland with the best botanist I have ever known and my boss, Jeff Waddell, with the Royal Society for the Protection of Birds. For me, the long game of seeing the bigger picture has always been key. And at the end of the day, I remained steadfast in answering the questioned I posed myself: Why do all of this work if not to make a truly positive impact? With that in mind, and with an expiring visa, I moved back to the West Coast of the U.S. and landed a contracting position with NOAA Fisheries. Where I met my second female mentor, Heidi Taylor, who inspired me beyond words and introduced me to the amazing world of fisheries management. All the while, I kept working my second part-time job with the West Coast Regional Planning Body (now called the West Coast Ocean Alliance, WCOA). Working two jobs allowed me to not only accelerate my learning capacity through more opportunities, but also allowed me to extend the reach of growing a positive impact. For example, I learned about coordinating region-wide ocean management, facilitation of diverse groups, and working with tribes, states, and federal agencies while working for the WCOA. While there were moments that I struggled with overworking and fatigue, my training in graduate school to persevere really kicked in. Driven by the desire to attain a permanent position that complimented my talents and determination to provide sustained help for our Earth’s ecosystems, I worked for what sometimes felt endlessly to reach my goal. Getting there was tough, but well worth it! One of the most challenging aspects for me was finishing my last publication for the GEMM Lab. I was no longer motivated by the research, since my career path had taken a different turn, and I was already burnt out form working overtime every week. Therefore, if it was not for Leigh’s encouraging words, the promise I made to her to complete the publication, and my other co-author’s invitation to submit a paper for a particular journal, then I likely would have thrown in the towel. I had to re-do the analysis several times, had the paper rejected once, and then ended up re-writing and re-structuring the entire paper for the final publication. In total, it took me two and half years and 100s of hours to complete this paper after graduating. Of course, there was no funding, so I felt a bit like an ongoing graduate student until the paper was finally accepted and the work complete. But the final acceptance of the paper was so sweet, and after years of uncertain challenges, a heavy weight had finally been lifted. So perhaps, if there is one piece of advice I would say to young graduate students, it is to get your work published before you graduate! I had one paper and one book chapter published before I graduated, and that made my life much easier. While I am proud for finishing the final third publication, I would have much preferred to have just taken one extra semester and finished that publication while in school. But regardless, it was completed. And in a catharsis moment, maybe the challenge of completing it taught me the determination I needed to persevere through difficult situations. 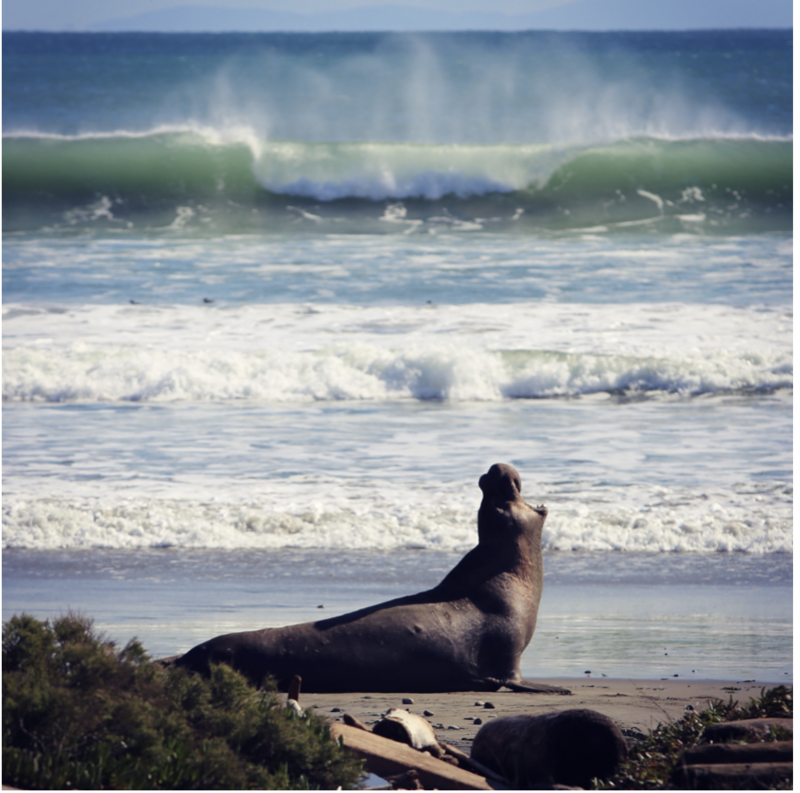 Above: Elephant seal expressing my joy of finishing that last publication! Wooohoooooo! With that publication out of the way, I was able to focus more time on my career. While I no longer use R on a daily basis and do not miss the hours of searching for that one pesky bug, I do analyze, critique, and use scientific literature everyday. Moreover, the critical thinking, creative, and collaborative skills I honed in the GEMM Lab, have been and will be useful for the rest of my life. Those hours of working through complicated statistical analyses and results in Leigh’s office pay off everyday. Reading outside of work, volunteering and working second jobs, all of this I learned from graduate school. Carrying this motivation, hard work, determination, and perseverance on past graduate school was undeniably what led me to where I am today. 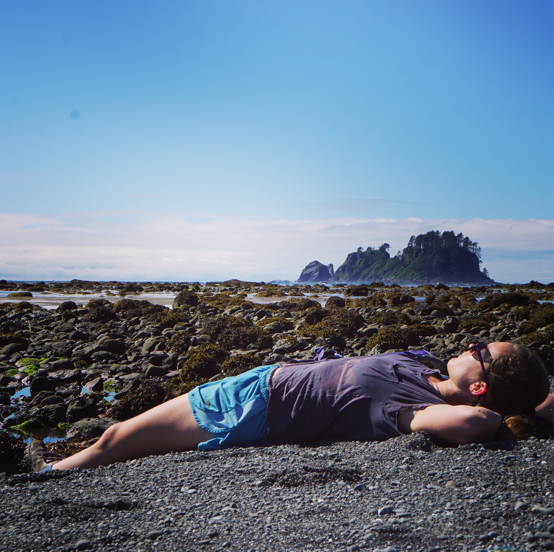 I have landed my dream job, working for NOAA Fisheries Sustainable Fisheries Division on salmon management and policy, in my dream location, the Pacific Northwest. My work now ties directly into ongoing management and policy that shapes our oceans, conservation efforts, and fisheries management. I am grateful for all the people who have supported me along the way, with this blog post focusing on the GEMM Lab and Leigh Torres as my advisor. I hope to be a mentor and guide for others along their path, as so many have helped me along mine. Good luck to any grad student reading this now! But more than luck, carry passion and determination forward because that is what will propel you onward on your own path. Thank you GEMM Lab, it is now time for me to enjoy my new job. Above: Enjoying in my new home in the Pacific Northwest.